Two unrestricted free agents drafted by the New York Giants in the 2014 NFL Draft have signed with other teams. Center Weston Richburg has signed a 5-year contract with the San Francisco 49ers and linebacker Devon Kennard has signed a 3-year, $18.75 million contract with the Detroit Lions. Richburg was placed on Injured Reserve in November 2017 with a concussion that he suffered a month earlier. He only played and started in four games in 2017. Richburg was originally drafted in the 2nd round of the 2014 NFL Draft by the Giants. He has started 50 regular-season games. However, after a strong 2015 campaign, his play dipped in 2016 and 2017. Kennard played in 15 games with 11 starts in 2017. He finished the season with 41 tackles, four sacks, and two pass defenses. Kennard was drafted in the 5th round of the 2014 NFL Draft by the Giants. He missed playing time due to injuries in 2014 (four games – toe and hamstring), 2015 (seven games – foot), and 2017 (one game – quad). In all, he has played in 52 regular-season games with 35 starts in four seasons. 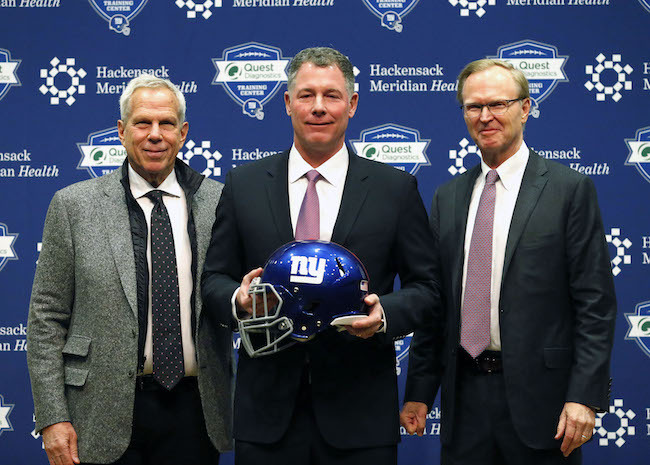 For a complete listing of who is coming and who is going, check out our New York Giants 2018 Free Agency Scorecard. The Jacksonville Jaguars have signed unrestricted free agent offensive guard Andrew Norwell (Carolina Panthers) to a 5-year, $66.5 million contract. The Giants were considered the leading contender to sign Norwell by many in the media. The 26-year old Norwell was originally signed as an undrafted rookie free agent by the Panthers after the 2014 NFL Draft. Norwell has started 54 of the 55 regular-season games he has played in the last four seasons. He made the Pro Bowl last season. 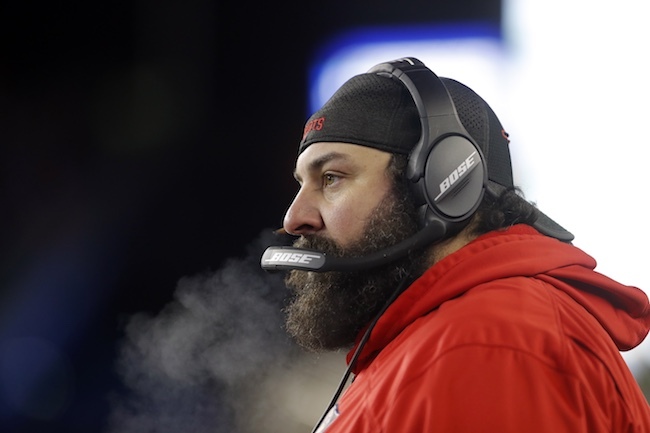 The Sporting News is reporting that the New York Giants are hiring Ben Wilkerson as assistant offensive line coach and Deshea Townsend as assistant defensive backs coach. Wilkerson will work under new offensive line coach Hal Hunter while Townsend will work under new defensive backs coach Lou Anarumo. New York Giants Head Coach Ben McAdoo said on Monday that the injuries suffered by linebacker Curtis Grant (knee) and cornerback Donte Deayon (fractured forearm) will end their season. Cornerback Janoris Jenkins (ankle) may miss some time as well. Q: What did you think of the overall effort in last night’s game? A: I thought we played the game hard. I thought we played the game physical at times. There were times when we were the more physical team. That wasn’t consistent over the course of the ballgame, but I thought the players played hard. Q: At 2-9, where does the team go from here? A: I guess the normal procedure would be to start taking a look at more younger players, but we’re doing that, really, already, with the way things have come out injury-wise. We have a lot of young players playing out there and last night was an example, young players playing on a short week and they played like it. We need to get more out of the young players on our roster. We took a step backwards there. Everything’s correctable and I’m confident that we’re going to get it corrected, but we need better there. The players are going to get a couple days away from it and we need to come back and attack this last month head on. Q: What did you think when you looked at the offense on tape? A: Well, I was disappointed in the way that our offense looked. Really, as a team, we didn’t handle the ball well enough to win the game. 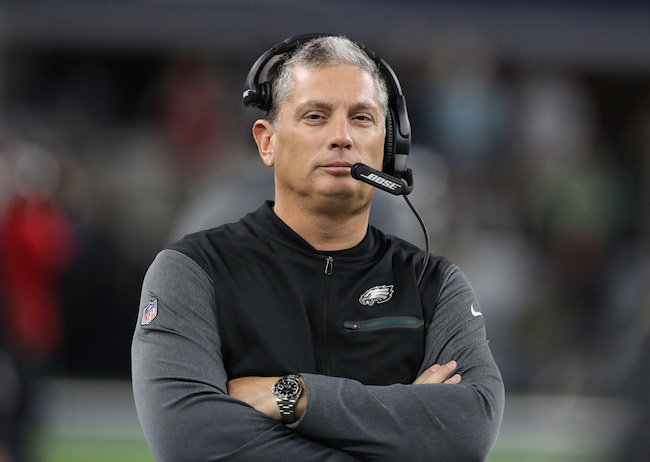 We didn’t throw it well enough, we didn’t catch it well enough, we didn’t punt it well enough, we didn’t kick it well enough and that was a big part of the ballgame. Last night we had a lot of unforced errors. They were both ways in the game and that’s usually how it goes. On a Thursday Night game, you’re going to have some of that and we just weren’t able to overcome it. Q: Is there anything that you would have changed going into the game, preparation-wise, to compensate for the challenge of having young players play on a short week? A: Yeah, we’re going to take a look at it. We have some ideas that we put down and we’re going to take a look at it in the future and see if there’s any adjustments you can make to maybe getting some speed work. Q: Has ‘next man up’ been a little unrealistic, especially heading into a short week, to have guys step in right away and expect them to play at a high level? A: Both teams went through it last night. We had a lot of players who had to step in and go and play pro football at a high level. And that is a challenge, but that’s part of the game. We played hard, we weren’t detailed enough, we didn’t execute the way that we’re capable of executing, but we went out and played the game hard. Q: Do you think your players might have been pressing a little bit, knowing it was a short week? A: I thought there were some examples, maybe. I thought maybe [tight end] Evan [Engram] was pressing a little bit in the pass game, especially after he dropped the first one. Other than that, I’m not sure if there were any other signs of it. Q: What is the latest on wide receiver Sterling Shepard? A: Sterling, he’s still on the injury report. There’s no change from yesterday. Q: Is it still migraines with Shepard? A: He’s listed as a migraine, yes. Q: Do you have any updates on injured players from last night? A: [Cornerback] Janoris [Jenkins] has an ankle [injury], it’s painful. [Linebacker Curtis] Grant has a knee [injury], a right knee. [Cornerback] Donte Deayon has a forearm fracture. [Linebacker Deontae] Skinner has a hamstring [injury] and that’s what I have right now. Q: Is Deayon’s injury something that he can play through, or will it end his season? A: He won’t be able to play through that, no. Q: Shepard is not in the concussion protocol, correct? Q: Any concern that Jenkins’ injury is long-term? A: He’s in some pain right now, so there’s a possibility. Q: Is Grant’s knee injury going to end his season? A: It looks that way, yes. Q: Is there anything you can do to help Engram come back in the passing game? A: Yeah, he bounced back in the ballgame. He had the drop on the first third down of the game and that was an easy throw and catch, should’ve been. And he just didn’t have good fundamentals there. He surrounded the ball, something that we don’t like to do, and when it gets chalky and cold, the ball can be hard to handle. He doesn’t have a lot of experience playing in that weather, but that’s part of it. 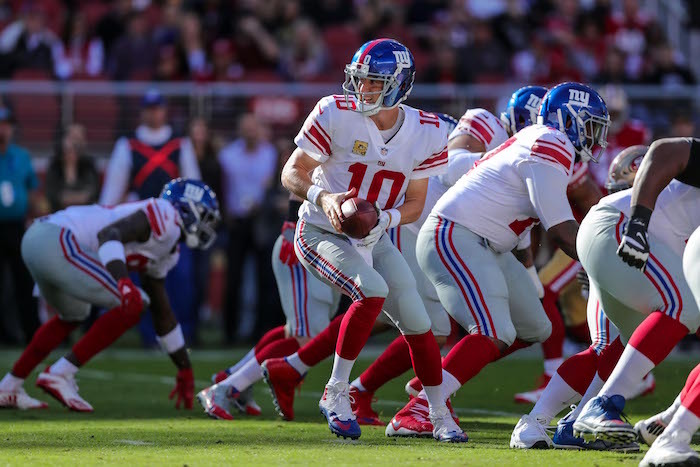 He bounced back on the vertical play down the middle, it would’ve been a very tough throw and catch, [quarterback] Eli [Manning] got some pressure, had to get the ball out, he wasn’t expecting the ball probably that quickly, but made a nice play on the ball and just couldn’t hold it going to the ground. But came back on a deep cross, showed good fundamentals, good concentration, good focus and made a nice play. So, he’s able to rebound during the course of a game. I did have conversations with him during the course of the game and let him know that he can still make a big impact in the ballgame, in the way the ballgame was going. He just needs to stick with it and focus on the details and the little things. Q: Do you find Engram is receptive to those in-game conversations? A: Yeah, he’s phenomenal on the sideline. He plays the game with a clear mind. Q: In your eyes, was cornerback Eli Apple missing two practices last week what contributed to him being inactive last night? A: He hasn’t played football in awhile and that’s why I chose the decision I made. Q: Missing two practices for a guy who has played a lot of football is a deal breaker? A: I don’t know what deal you’re talking about, but he didn’t practice last week, except for Wednesday. He did not play in the game and didn’t get any speed work this week, that’s why I chose to not dress him. Q: There is a lot of speculation that he was inactive for another reason, but that is not the case? A: I didn’t say it was. Q: How do you feel about the way the offensive line played last night? A: I thought that the 16-play drive was a good drive for them. We mixed the pass, we mixed the run, had some good plays, overcame some adversity during that drive. But the physicality of the run game wasn’t as good as it’s been, so we dropped off there a little bit and our protection wasn’t good enough. Q: What was your message to the players before they got away for a couple of days off? A: Come back on time with your weight right. That’s a good start. Q: Because of all the young players playing more, are you teaching more? A: We need these guys to grow up. It’s part of coaching, it’s part of playing. We don’t have time to wait, it’s got to be now. The audio of Monday’s ESPN Radio interview with New York Giants safety Landon Collins is available at ESPN.com. The Giants did not score an offensive touchdown for the second time this season, both in division road games. They were held to three points in Dallas in the season opener. 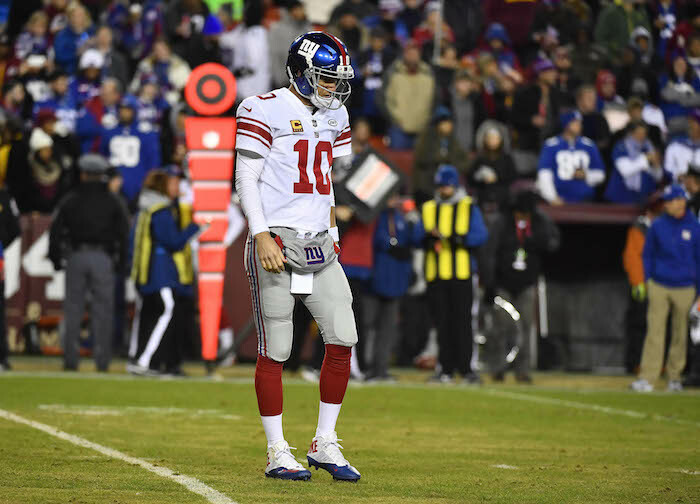 The Giants had one first down in the second half and seven in the game, their lowest total since they had six in a 30-7 loss to New Orleans on December 24, 2006. The Giants’ 86 net passing yards was their lowest total since they threw for 49 yards in a victory against the Miami Dolphins in London on October 28, 2007. 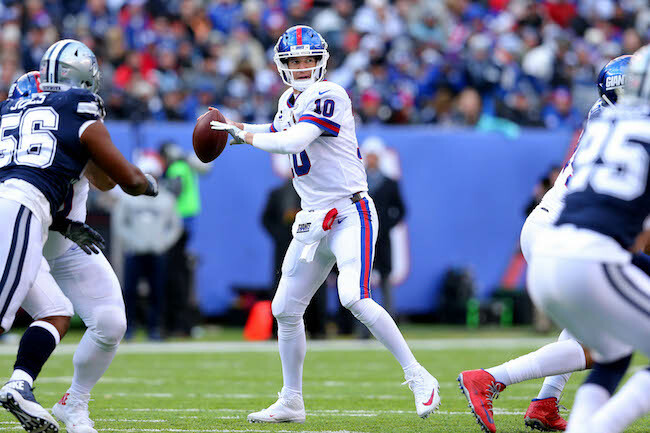 Quarterback Eli Manning’s 113 passing yards was his lowest total since he threw for 111 yards at Buffalo on December 23, 2007. He passed for 36 yards on the Giants’ final series. 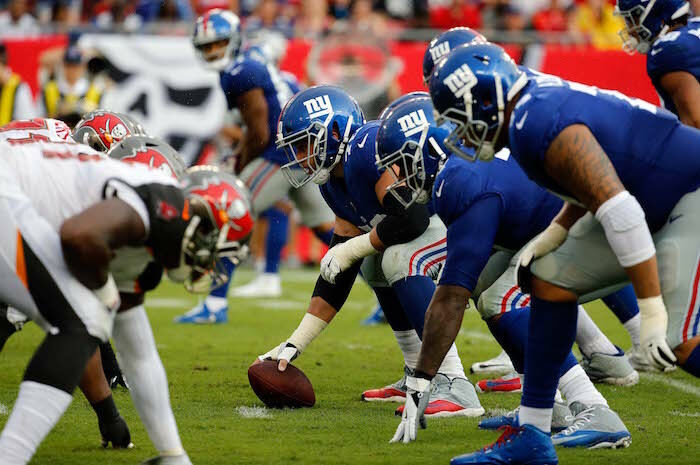 The Giants employed their eighth different starting offensive line this season, tying them with the Green Bay Packers for the NFL high. 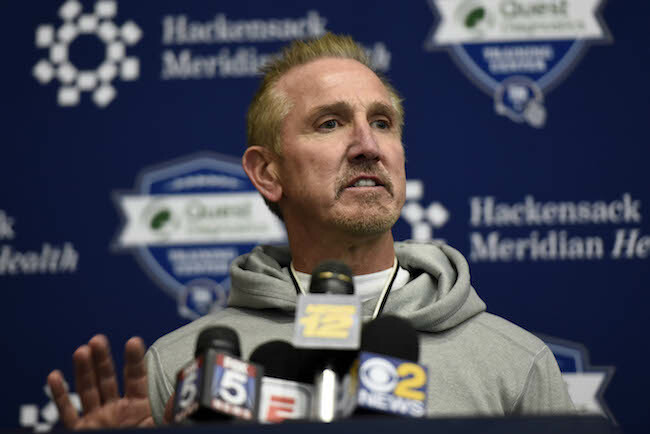 There is no scheduled media availability the New York Giants until next Tuesday, when select players will address the press. The players are off on Sunday and Monday. Running back Shaun Draughn (ankle) and linebacker J.T. Thomas (knee) remain on the Physically-Unable-to-Perform (PUP) List. Defensive tackle Robert Thomas (unknown), linebacker Keenan Robinson (concussion protocol), and linebacker Mark Herzlich (unknown) did not practice. Wide receivers Sterling Shepard (ankle) and Tavarres King (ankle) practiced on a limited basis. Wide receiver Kevin Snead (unknown) and offensive lineman Jessamen Dunker (unknown) left practice early. Indoor practice today not open to the public. I liked being in there, simply to switch things up a little and it kept everyone on one field. So for the most part, we got to see everyone, as no one was a field away. WR Sterling Shepard was out there for the beginning of practice, he was moving aggressively. I think it’s safe to say he is ready to rock within a week. QB Geno Smith is on a little run. He is making some really nice throws on all levels and it appears his timing with receivers in addition to understanding the scheme is coming along. Geno is more gifted than Johnson and if he continues to improve at this rate, he has a very good shot at winning the backup job. Good to see QB Davis Webb out there after practice again. You can tell this kid is a worker. The QB’s were airing it out a little more today than what we’ve seen, as it looked like some deep passing was a focus. This was equally beneficial for WRs, DBs, and QBs. Manning threw a deep ball (40+ yards) to WR Brandon Marshall up the right sideline. 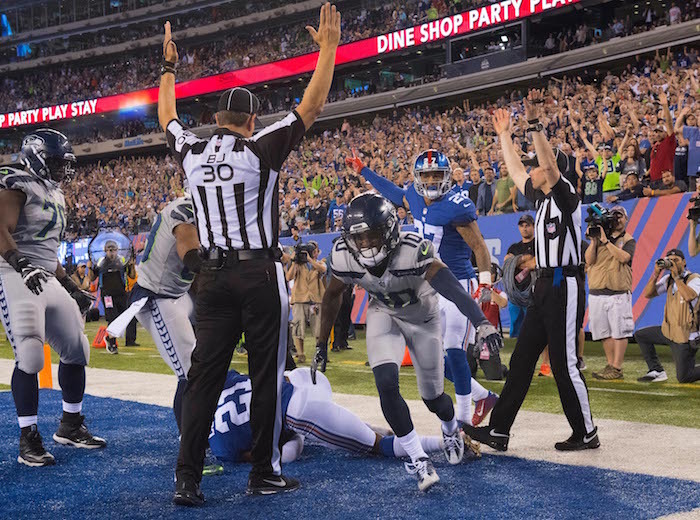 I had a good vantage point and right after the ball reached it’s apex, I immediately assumed 5-6 yard overthrow. Then Marshall accelerated and showed off his reach, tipping the ball to himself a couple times and eventually coming down with it. Very impressive pitch-and-catch and it looks like 10-to-15 chemistry is coming along. They hooked up a few times today in tight windows. Still unsure where WR Roger Lewis is on this depth chart. He worked as the team’s #3 guy with Taverres King and Sterling Shepard out of action in team drills. He is an impressive athlete but doesn’t quite seem to have the body control and consistent hands. He dropped a deep pass today and then didn’t locate another one but responded with a deep TD catch a few plays later. WR Darius Powe may have an inside track at winning the final WR spot. He is big and physical and I think this team needs another one of those guys if Marshall were to ever go down. He had a couple of really nice catches today including one where he burned Janoris Jenkins. WR Travis Rudolph, we’ve discussed a few times, does so many things well but I think it is a legit concern if he can separate and/or catch passes in traffic at his size/speed combo. I got to watch a lot of OT Adam Bisnowaty vs. DE Avery Moss today, the two rookies. Bisnowaty won most, if not all, of the one-on-one fights. He anchored well, maintained good position and accuracy with hands, and adjusted to the double moves. Moss was winning the leverage battle but didn’t seem to have the power to get a consistent push. OC Brett Jones had an impressive day. I have to think he is the primary OC backup and a definite for the 53-man roster. One thing that stands out with him, he does NOT get pushed back when he anchors those feet in. We may need to get used to TE Evan Engram making plays on a daily basis now. His speed jumps out at me every time he goes after the ball and makes a move north after the catch. He burned S Landon Collins a couple times. Collins also had a hard time sticking with TE Rhett Ellison on an out cut. Ellison is a better short area athlete than I thought. OL Michael Bowie is likely on the outside looking in at this point, but he has some extra pop about him today. He appears to have overwhelming power when he has things lined up correctly. A practice squad candidate WR has had 2-3 really good days in a row. UDFA Jerome Lane from Akron 6’3/225 and has been making some tough catches in traffic. Very strong presence when he attacks the ball. He is #6 if you guys watch Friday night. DT Robert Thomas didn’t practice today which meant more looks for Jay Bromley. I’m not sure we have seen enough out of him to warrant excitement, but he still shows flashes. He is a big, big dude with some solid straight line burst. He just needs to show more consistent pad level. CB Donte Deayon is a fun kid to watch and I think everyone is rooting for him, including his teammates. At his size, it’s unlikely he will make the team but he continues to make plays. I’ve been wanting to see him matchup against Odell Beckham because they are both elite movers. Deayon got his shot once today and stuck with him on an in-cut. The negative, however, is that he gets tossed around by receivers when they block. WR Sterling Shepard and WR Dwayne Harris just owned him on WR blocking driils. He did intercept QB Josh Johnson during team drills though. He is making his case. B.J. Goodson got beat in coverage a couple times today. He was close though. We know it won’t be his strength as a LB, but this team needs to make sure they don’t get beat up the middle yet again this year. I am having a hard time figuring out how this team will figure out the LB depth chart behind the top 5. Deontae Skinner and Curtis Grant are excellent straight-line athletes. Skinner made a couple plays in coverage today – that could be an avenue for him to make his impact. Safety Eric Pinkins, whom we talked to after practice, is a physical gem. Tall, long, strong, and fast. He is high-hipped and struggles to make quick breaks and change direction laterally, but I think this kid has to make the team. He may be one of the more versatile defenders on the team. Experience at S, LB, and CB in addition to a defensive weapon on special teams. He is pumped to start his endeavor to make the roster Friday night. Look for him. CB Valentino Blake is the team’s #5 CB I think, as of now. We will see what happens in the games but he has been playing better each day. He has the game experience that some others do not and there is a physical style about him. This defense wants to be nasty and that fits in to the way Blake approaches things. If I had to decide Blake or Deayon right now, I think NYG would lean towards Blake. CB Eli Apple may have had his best day. He stuck with Brandon Marshall for the most part in his limited opportunities. He is showing the blend of size and speed you want, but he also did a nice job of sniffing out routes and throws ahead of time. That is huge for him. DT Corbin Bryant is a really impressive-looking guy. He has a short area burst and violence about him that can be a weapon. Does he have the ability to eat up double teams? Can he be a pass rusher here? Not sure but he deserves a look in these games coming up. 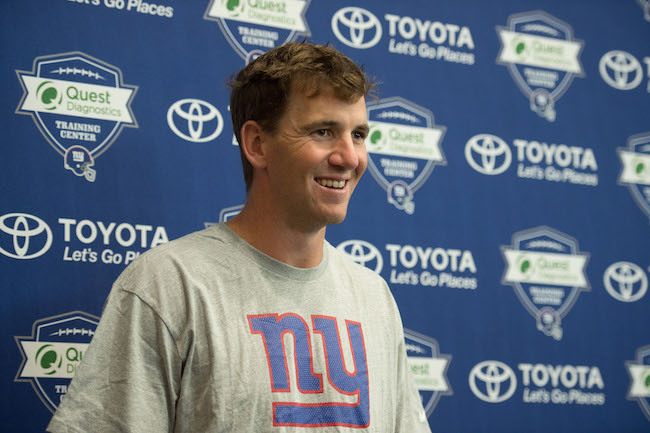 QB Eli Manning: I think this was Eli’s “rust is off” day. He threw a bunch of really pretty looking balls downfield. He also stepped up in the pocket and fit some passes into really tight windows. He is making the effort to build up that chemistry with Brandon Marshall and Evan Engram, two new weapons that offer him things he didn’t have last year. That is one of the more important parts to this preseason process. TE Will Tye: Another day, another TE looks to be stepping up and making his case. Part of me thinks the Rhett Ellison signing is the kick that will put Tye on the street at the end of preseason. They are similar styled players and Ellison isn’t going anywhere. Tye made a couple of really tough catches over the middle on the move. Outstretched arms with defenders bearing down. As I said last week, he looks quicker than a year ago. CB Nigel Tribune: A guy I haven’t mentioned at all in these reports yet. He is a body-control corner that went undrafted out of Iowa State. He showed a physical side last week when he beat up WR Kevin Snead at the point of attack multiple times, and today he showed great balance and ball skills when covering WR Travis Rudolph. He made a great play on the ball on 4th-and-goal on a pass from Geno Smith to Rudolph. That fifth CB spot is up for grabs and if they want a quicker slot-type corner, Tribune is in the mix as much as anyone. Sy’56 and Gidiefor discuss today’s practice and interview safety Eric Pinkins. In 1-on-1 drills, wide receiver Brandon Marshall beat cornerback Eli Apple deep and scored a touchdown with an acrobatic catch that he tipped to himself. Wide receiver Travis Rudolph then badly beat cornerback Janoris Jenkins deep for a touchdown. Cornerback Donte Deayon had good, tight coverage on wide receiver Odell Beckham, Jr. In 7-on-7 drills, tight end Rhett Ellison made a couple of nice catches. But then quarterback Josh Johnson threw and interception to cornerback Donte Deayon. Quarterback Josh Johnson hit wide receiver Dwayne Harris for a long touchdown. Then he threw a ball up for tight end Matt LaCosse, who made a leaping catch down the right side. Cornerback Eli Apple deflected a slant pass intended for wide receiver Odell Beckham, Jr.
Quarterback Geno Smith hit wide receiver Darius Powe for a long touchdown over cornerback Janoris Jenkins. Powe then made a finger-tip grab on a Smith pass, beating cornerback Michael Hunter. Cornerback Valentino Blake broke up a quarterback Geno Smith pass intended for wide receiver Roger Lewis. D.J. Fluker received some reps at left guard and right tackle with the third-team offensive line. Tight end Evan Engram made a nice grab on pass over the middle from quarterback Eli Manning during the 2-minute drill. Cornerback Donte Deayon broke up a flat pass from quarterback Geno Smith intended for wide receiver Travis Rudolph. Safety Eric Pinkins then broke up a Smith pass intended for tight end Matt LaCosse. Avery Moss got a good pass rush from left defensive end during the 2-minute drill. Cornerback Nigel Tribune made a diving pass defense of a quarterback Geno Smith rollout pass to wide receiver Travis Rudolph. Overall, the Giants’ 1st-, 2nd, and 3rd-team defenses kept the 1st-, 2nd-, and 3rd-team offenses out of the end zone during 2-minute drills. Place kicker Aldrick Rosas was 4-for-4 on field goal attempts, including from 31, 36, 41, and 50 yards out. The tenth training camp practice will be held on Tuesday, starting at 10:55AM. The training camp schedule is available at Giants.com.